This is a redo of a class we had several years ago. 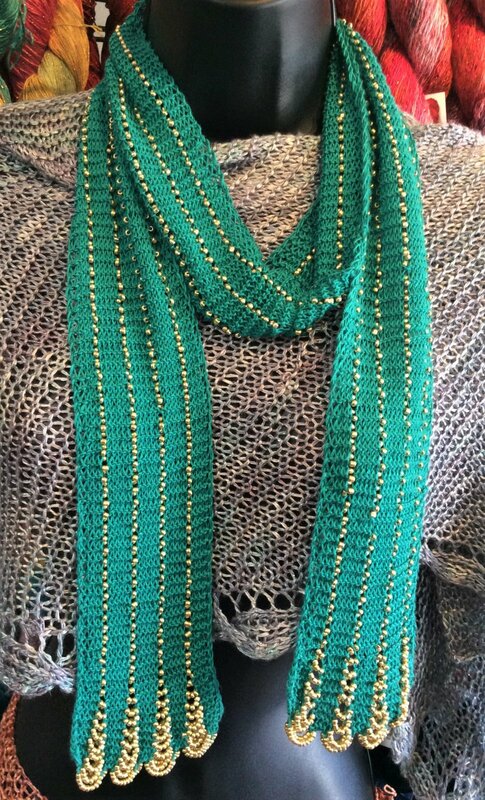 We've updated the yarn to a wonderful silk and with the addition of beads, it's a show stopper! You'll learn how to string beads on your yarn, cast on while including beads and continue to knit, adding beads as you go. Long tail cast on and the knit stitch are all you need to know, plus patience to string beads!